Perhaps you want to surprise someone with a one-of-a-kind, unique hand made arrangement? Our Deal of the Day bouquets, you pick your price, give us a bit of direction (or not! ), and our expert floral designers will exercise their creativity to create a uniquely beautiful bouquet using the freshest seasonal flowers available. 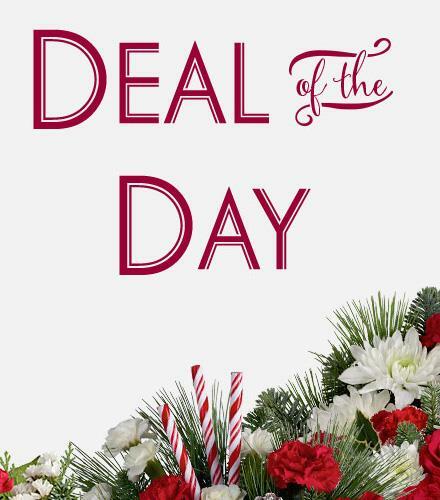 Popular Flower Arrangements - Deal of the Day. Florist Notes: Florist chooses freshest available flowers to create a beautiful one of kind display. You can trust the floral designer who will be proud of the creation.